Masamichi Hayashi, president of marine education establishment kyg-lab, has hand-crafted over 100 robotic marine creatures from recycled items such as plastic bottles, food containers, styrofoam, raincoats, and windshield wiper motors. A self-taught roboticist, Hayashi relies on his formal experience as a marine scientist to endow his machines with realistic movements, and he uses them in free shows to teach kids about the locomotion and behavior of sea creatures. Here is a short video showing Hayashi's great white shark, manta ray, green turtle, hammerhead shark, Japanese giant salamander, porpoise, and killer whale. Hayashi's masterpiece is a 1.5 meter (5 ft) long coelacanth robot that weighs 48 kilograms (105 lbs) and cost 2 million yen ($22,000) to build. 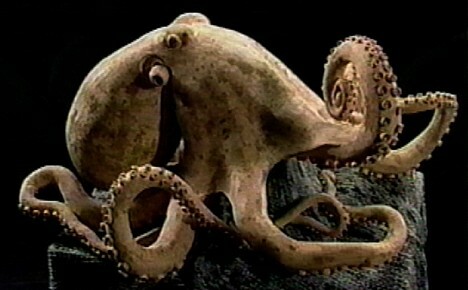 Here is some video of a diver giving it a snack. The coelacanth robot also makes a cameo in the next video, along with a tsuchinoko, a turtle, and a lake monster that carries a piece of waterborne trash to the curious onlookers on shore. A sewage plant in Japan's Nagano prefecture has started mining gold from sludge, earning a cool 5 million yen ($56,000) in its first month of operation. On January 28, sewage plant operator Nagano Prefecture Suwa Construction Office announced that approximately 1.9 kilograms (4.2 lbs) of gold can be mined from each ton of molten fly ash generated when incinerating sludge at its facility in the town of Suwa. Located in central Nagano prefecture, the Suwa Basin is home to numerous precision machining companies, metal plating facilities and hot springs, which may explain the high concentration of gold in the wastewater sludge. Joint research conducted in 2007 by Nagano prefecture and the Japan Sewage Works Agency found that the concentration of gold in the ash was comparable to that of a high-grade ore. But because the cost of extracting the gold outweighed the potential profit, the operator continued treating the ash as an industrial waste material. However, with the recent rise in the price of gold, Suwa decided to start mining the molten fly ash. Last October, they sold 1.4 tons of the ash to a smelting company. At the end of January, Suwa is scheduled to receive its first payment of 5 million yen ($56,000) for the recovered gold. 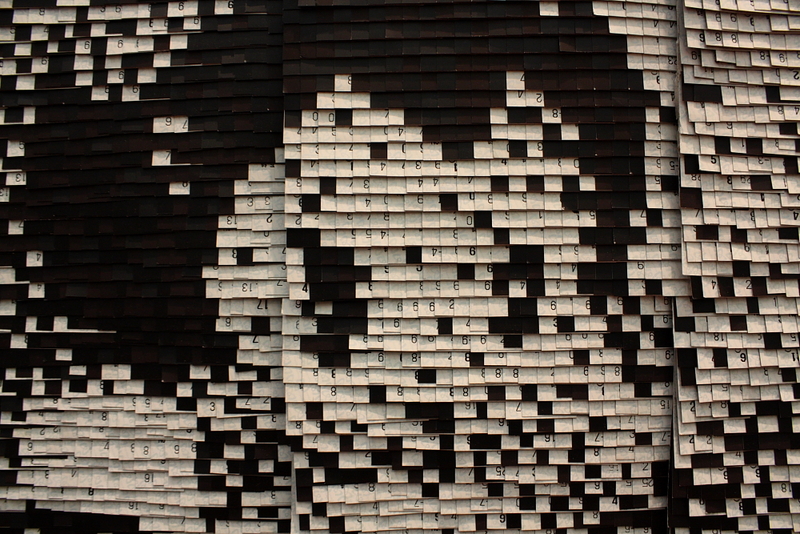 By the end of March 2009, Suwa plans to mine a total of 5 tons of ash for a profit of 15 million yen ($167,000). The sewage operator says it will use the revenue to help pay for plant maintenance and operating costs. The facility treats about 100,000 tons of wastewater each day, generating about 3 tons of ash in the process. 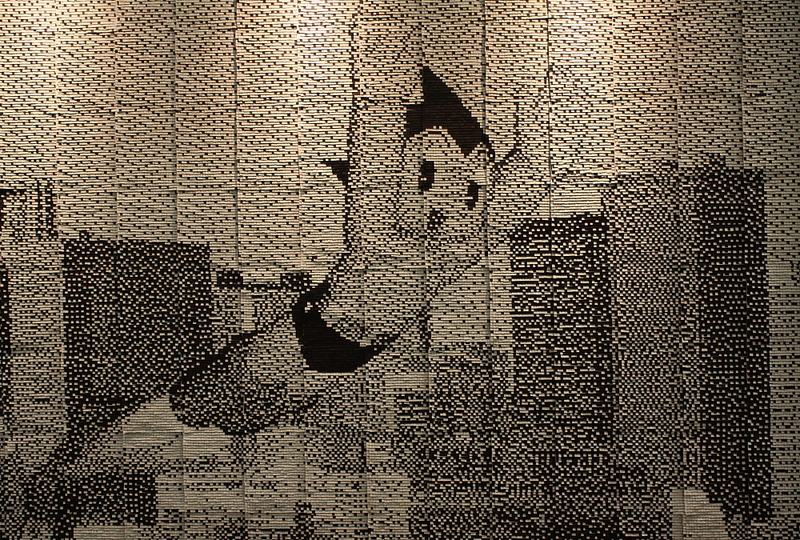 A 3.2 x 2.1 meter (10 x 7 ft) work of Astro Boy pixel art made from 138,000 recycled Tokyo Metro tickets is on temporary display at the Shinjuku Takashimaya Department Store (2nd floor) to mark the opening of Tokyo's new Fukutoshin subway line. Created by volunteers from Takashimaya and other Shinjuku-area businesses, the work depicts Astro Boy, Uran, Professor Ochanomizu and Higeoyaji (Mr. Mustachio) in Shinjuku along with the new Fukutoshin train. 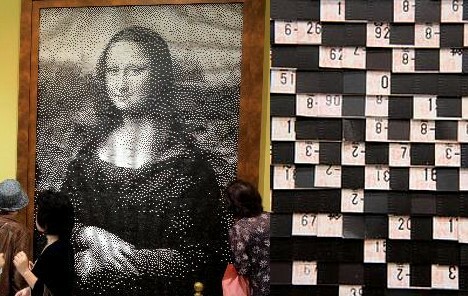 Employees at the Takashimaya department store in Osaka have created four reproductions of world-famous paintings using 320,000 old train tickets obtained from the nearby Nankai Namba station. 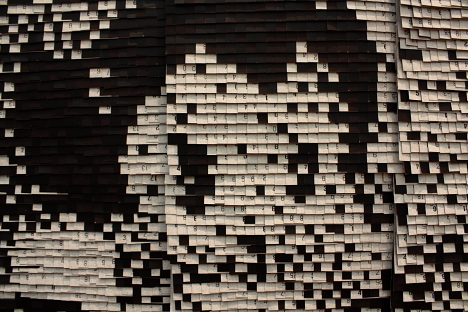 The works, which include renditions of da Vinci's Mona Lisa (2.3 x 1.6 meters) and the Birth of Venus, as well as Renoir's Dance at the Moulin de la Galette, consist of "pixels" formed by overlapping the black and white tickets in intricate patterns. 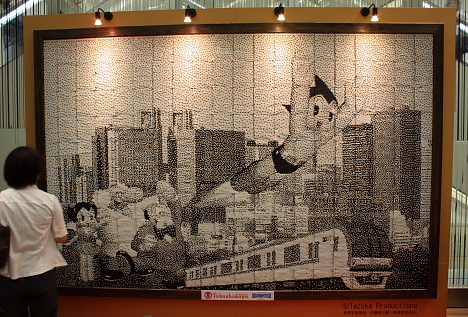 About 300 employees sacrificed their breaks and free time for 3 months to complete the masterpieces, which will be on display at Takashimaya until October 16. It takes only a few minutes to down a soft drink, but the plastic bottle it comes in is designed to last for centuries. 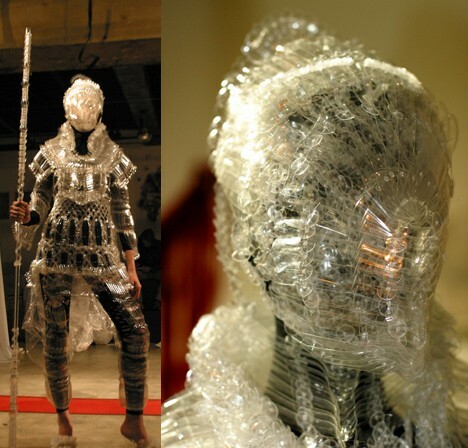 In the eyes of Kosuke Tsumura, designer for the Final Home brand of urban survival clothing and accessories, the durability and abundance of PET plastic bottles makes them an ideal material for clothing...and armor. 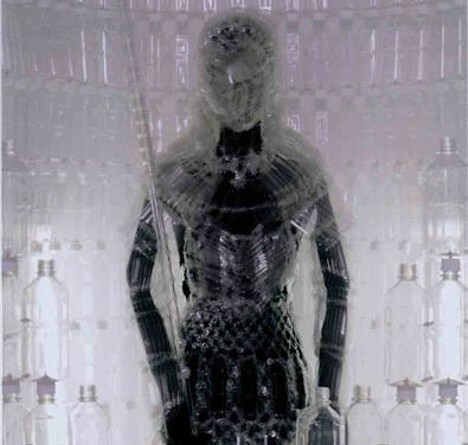 At the request of the world's largest cola cartel, Tsumura made this suit of armor by slicing up PET bottles and sewing the pieces together with transparent nylon thread. The armor may not hold up well in combat, but it looks cool as hell and it won't biodegrade until long after you are gone. On June 20, NTT Docomo and am/pm Japan announced plans to begin equipping convenience stores with cellphone recycling bins, making it easier for people to recycle their unwanted devices. Since 1998, Japan's wireless providers have been recycling unwanted phones in their own stores for customers who switch models or cancel their contracts. In recent years, however, it has become increasingly common for customers to wait a while before recycling their old handsets, mainly because they hold greater amounts of important data that needs to be accessed even after switching models. 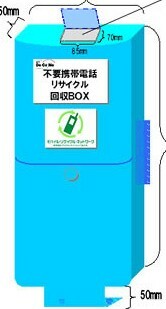 Most users eventually decide to dispose of their mobile devices, though, so NTT is hoping they will make use of these recycling bins. The recycling bins, which will initially be set up at eight convenience stores in central Tokyo, are open to unwanted handsets of all makes and models. 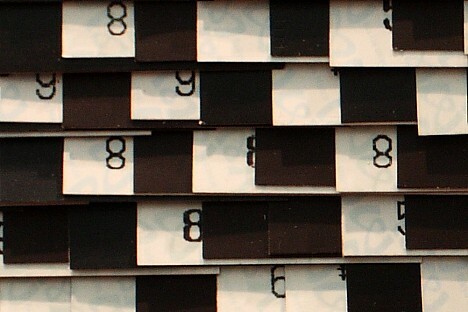 The bins are also designed to prevent theft of the contents. In 2005, NTT harvested 37,993 kg (42 tons) of copper and 145 kg (320 pounds) of gold from discarded handsets. 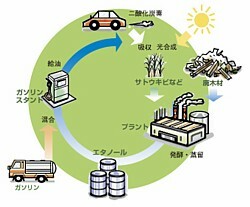 Bio Ethanol Japan Kansai, a company established by Taisei, Daiei Inter Nature System, Marubeni, Sapporo Beer and Tokyo Board Industries, is set to begin commercial production of bioethanol made from wood waste. Opening ceremonies for the Osaka plant, which the company claims is the world's first of its kind, are scheduled for January 16. With efforts to reduce fossil fuel consumption and growing concern over global warming, worldwide interest in ethanol made from biomass is on the rise. Using wood waste from construction, agriculture, forestry and other sources, Bio Ethanol Japan aims to produce 1,400 kiloliters (370,000 gallons) of ethanol fuel in its initial year, and eventually plans to boost annual production capacity to 4,000 kiloliters (1.06 million gallons). The bioethanol will be mixed with gasoline at a concentration of 3%, helping to reduce fossil fuel consumption and lessen the impact on global warming. The Ministry of Environment, which provided assistance in establishing the plant, has officially recognized the enterprise as a business model contributing to the reduction of global warming. 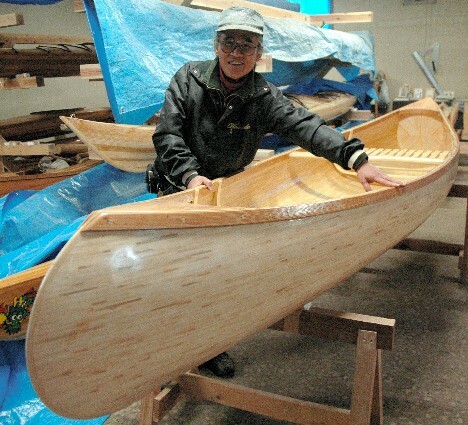 Environment Minister Masatoshi Wakabayashi is scheduled to attend the opening ceremony. The use of ethanol as an automotive fuel figures prominently into the Japanese government's Biomass Nippon Strategy, which is designed to promote the production and use of biomass fuel. In addition to reducing CO2 emissions, the widespread use of ethanol fuel encourages the recycling of construction-derived wood waste and furthers efforts to create a more recycling-oriented society.